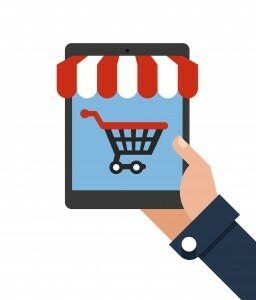 Being successful with selling items online isn’t exactly a simple or easy process. It takes time, effort, and trial-and-error to learn how to operate a successful E-commerce business. A critical part of your success is how good your product photos look. The absence of or poor images that don’t adequately represent the product can be the factor that makes or breaks your sale. Utilize these tips for posting product photos to maximize your conversion rate. Create a planKnow what you hope to accomplish by posting the pictures with your products on a service such as WooCommerce or Magento. Have an idea of the types of photos you need and how many of them you’ll need to post without going overboard. Take all photos of a single product at the same time to ensure that you have the same lighting conditions and overall appearance. This would apply if you wanted to show a label of a product, nutritional information, and ingredients all in separate images for example. Product qualityCarefully inspect any products you’re going to photograph for imperfections. You only want to shoot products that are perfect without crooked writing, damaged packaging, or scratches. You’ll see details more accurately once you take the photos, so don’t post them without going over each one with a close analytical eye. Quality of imagesTake high-quality images. Ensure that everything looks even, the background is clear, and that you have plenty of lighting. Use a tripod to keep the camera still and eliminate the number of blurry photos. You don’t need an expensive camera to accomplish this. Take photos by a window, keep the image in focus, and ensure the colors are accurately represented. Get the product itself firstA large majority of sites allow you to upload multiple photos, but your main photo needs to capture the viewer’s attention. If a customer likes your initial image, they’re more likely to look at other pictures and read the description to obtain more information about the project. Include useful secondary photographsMake other pictures that you include useful. Avoid taking pictures that don’t provide useful information. Show how the item comes packaged, any accessories that are included with it, or show someone using the product. This allows those browsing the site to visualize themselves using it and can motivate them to make the purchase. Keep it simpleYou might want to add fancy text or messages in pictures, but let the product do the talking. Infographics or charts can create too much clutter and take away from the benefits of the product. Hire a professionalIf taking the perfect images seems out of your league, don’t hesitate to hire professionals who have the equipment and skills to take effective shots. You’ll experience less frustration and aggravation while giving yourself more time to focus on other tasks that need your attention. Don’t underestimate how important it is to have quality photographs with your products. Overlooking the importance of this key feature will hurt your sales.